1.12MM Diameter screw mounting. Hex nuts, lock washer, flat washer included. 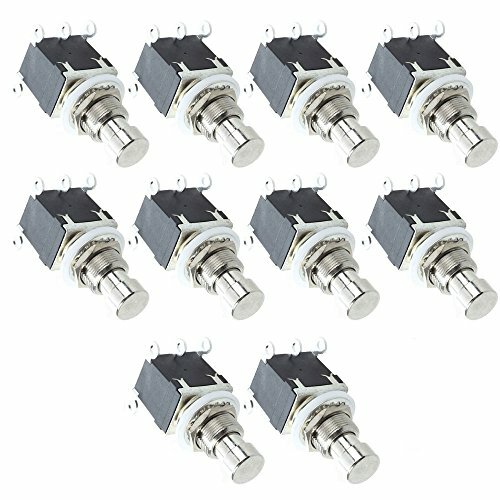 Heavy Duty Momentary double pole double throw stomp switch for effects pedals and electronics projects.